The talented Miles was born in Jarrow in Tyne and Wear on 23 April 1949. His first band was The Influence in the late sixties, who cut a 45 for Orange. They also included future Roxy Music member Paul Thompson and Vic Malcolm, who was later in Geordie. 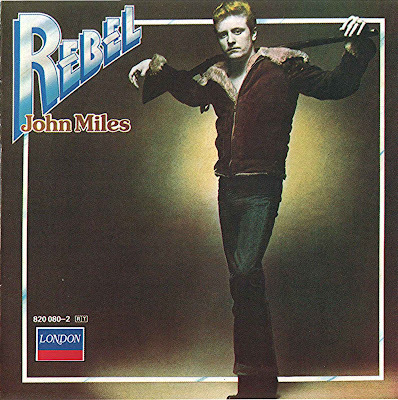 When Influence went their separate ways, Miles set up his own John Miles Band, which was popular in the north-east but attracted little wider attention. Several singles were released on the Orange label including a version of Come Away Melinda, but it wasn't until he relocated to London in 1975 with bassist Bob Marshall that he began to experience the success he'd worked so hard for. After signing to Decca and adding first Barry Black and then Gary Moberly to his line-up he scored his first hit with High Fly, which was produced by Alan Parsons. His finest moment, though, was the follow-up, Music, an excellent melodic rock ballad, also produced by Alan Parsons (Miles was a guest vocalist for The Alan Parsons Project), which peaked at No 3 here. Both songs were also minor hits in the US, where he toured with Elton John. He continued to record well into the eighties but had only two further hits with Remember Yesterday and Slow Down (No 10 in 1977). His epic Music, which some unfairly labelled pretentious, became a shackle he could never break free of. Later he played with both Jimmy Page and Tina Turner.